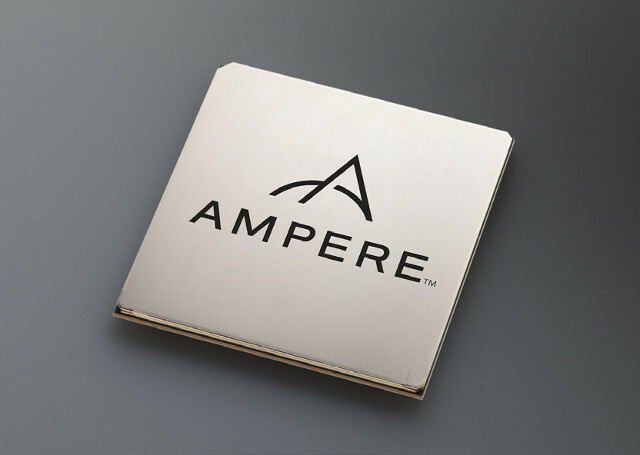 Ampere is a brand new company that has just launched to “address memory performance, cost, space and power constraints for emerging hyperscale cloud applications and next-generation data centers”, and whose founders include Renee James (CEO), former president of Intel, among other “semiconductor and cloud computing experts”. Their upcoming 64-bit Arm server processors aim to achieve those goals via thirty two custom Armv8-A cores operating at up to 3.3 GHz, support for up to 1TB of RAM, and a 125 Watts power envelop, or around 4 Watts per core. The SoC complies with SBSA Level 3 and SBBR (server base boot requirements) specifications, and supports EL3 secure memory and secure boot. There’s also a built-in Gigabit Ethernet port not shown in the block diagram, nor the specs, but mentioned in the product brief. CPU and I/O virtualization is also supported for running workloads and applications within virtual machines. The processors are sampling now, and mass production is schedule to start in H2 2018.